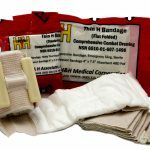 The H&H sterile H*VENT Penetrating Injury Kit provides proven emergency care for general, sucking, and exit chest wounds. 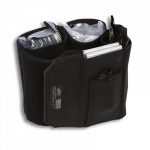 The H*VENT Penetrating Injury Kit combines our newest chest seal with our most popular occlusive chest dressing into a single, easy to open 5 mil pouch for fast access and application. One (1) H&H H*VENT Laminar Vented Chest Seal, the award-winning 6″ vented chest dressing with six vent channels for air and fluid drain from a sucking chest wound. Combines this new vent design with our proven thick super-adhesive layer and heavy duty application disk. 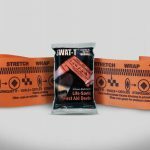 Be the first to review “H*VENT Penetrating Injury Kit” Click here to cancel reply.